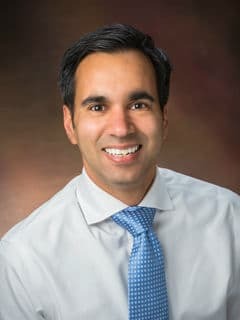 Jay Mehta, MD, MS, is the Clinical Director of the Division of Rheumatology and the Assistant Program Director of the Pediatrics Residency Program at Children's Hospital of Philadelphia. Pillai S, Mehta J, Levin T, Muzumdar H, Nandalike K. Shrinking Lung Syndrome Presenting as an Initial Pulmonary Manifestation of SLE. Lupus. 2014 Oct;23(11):1201-3. doi: 10.1177/0961203314536248. Epub 2014 May 16. Mehta J, Yokogawa N., and Lieberman S. A Comparison of Serologic Profiles of Children with Sjögren Syndrome Based on the Presence or Absence of Parotitis. (Presented at Pediatric Rheumatology Symposium, Orlando, FL, April 2014). Mehta J, Lin J, and Ilowite N. Phenotypic Clusters in Juvenile Idiopathic Arthritis. (Presented at American College of Rheumatology Annual Scientific Meeting, San Diego, CA, October 2013).